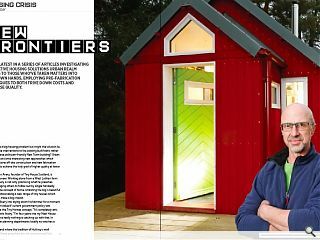 In the latest in a series of articles investigating innovative housing solutions Urban Realm speaks to those who’ve taken matters into their own hands, employing pre-fabrication techniques to both drive down costs and increase quality. 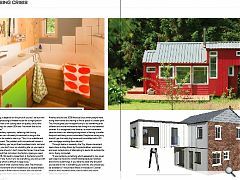 Britain faces a big housing problem but might the solution lie in small-scale interventions to the existing built fabric rather than grandiose politician-friendly New Town building? Urban Realm looks at some interesting new approaches which seek to combine off-site construction and new fabrication techniques to achieve the holy grail of higher quality at lower cost. 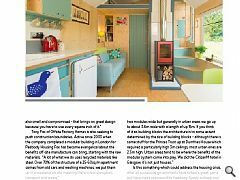 Jonathan Avery, founder of Tiny House Scotland, is one such pioneer. 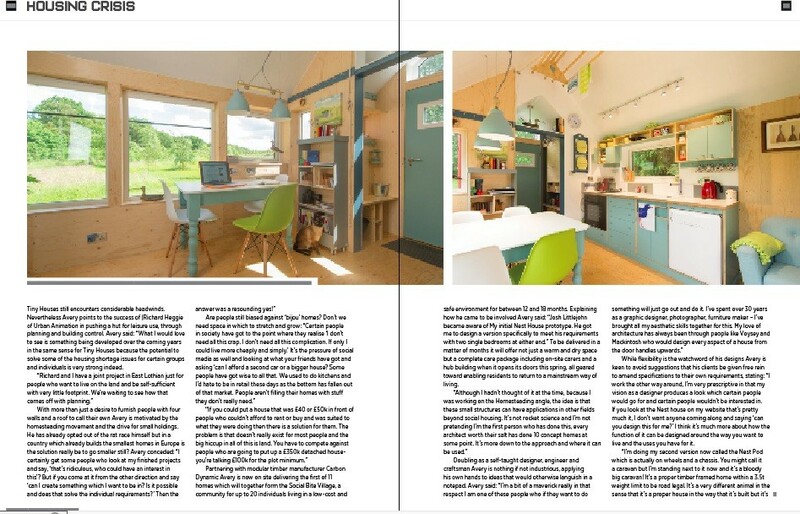 Working alone from a West Lothian farm steading Avery is not only practicing what he preaches but encouraging others to follow suit by single-handedly re-imagining the concept of home, smashing the big is beautiful maxim and showcasing a new range of tiny houses which promises to make a big impact. 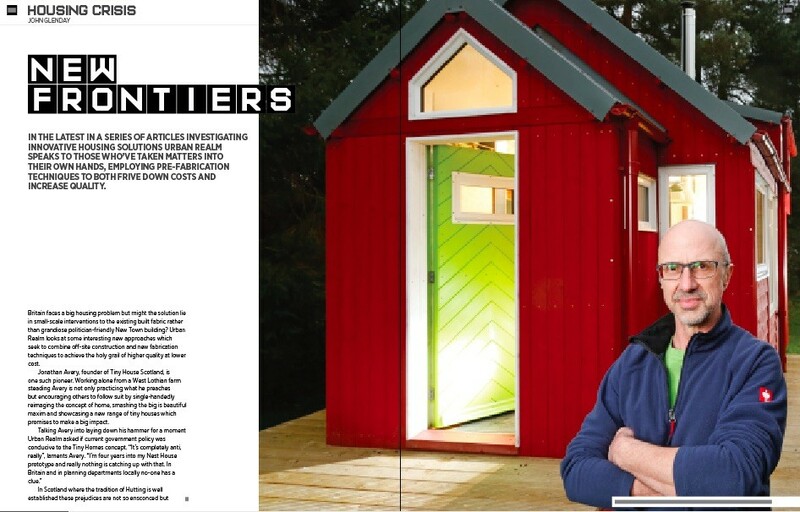 In Scotland where the tradition of Hutting is well established these prejudices are not so ensconced but Tiny Houses still encounters considerable headwinds. 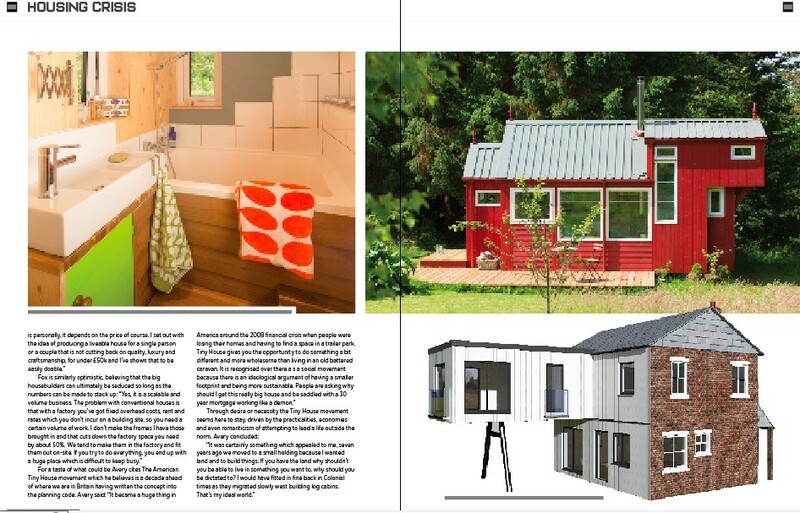 Nevertheless Avery points to the success of |Richard Heggie of Urban Animation in pushing a hut for leisure use, through planning and building control. 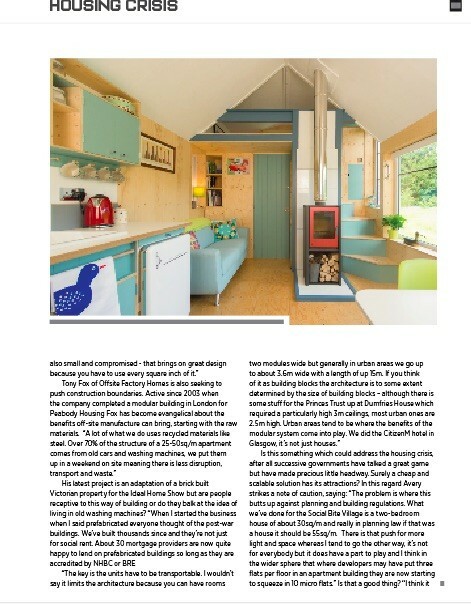 Avery said: “What I would love to see is something being developed over the coming years in the same sense for Tiny Houses because the potential to solve some of the housing shortage issues for certain groups and individuals is very strong indeed. Are people still biased against ‘bijou’ homes? Don’t we need space in which to stretch and grow: “Certain people in society have got to the point where they realise ‘I don’t need all this crap. I don’t need all this complication. If only I could live more cheaply and simply.’ It’s the pressure of social media as well and looking at what your friends have got and asking ‘can I afford a second car or a bigger house? Some people have got wise to all that. We used to do kitchens and I’d hate to be in retail these days as the bottom has fallen out of that market. People aren’t filling their homes with stuff they don’t really need. Partnering with modular timber manufacturer Carbon Dynamic Avery is now on site delivering the first of 11 homes which will together form the Social Bite Village, a community for up to 20 individuals living in a low-cost and safe environment for between 12 and 18 months. Explaining how he came to be involved Avery said: “Josh Littlejohn became aware of My initial Nest House prototype. He got me to design a version specifically to meet his requirements with two single bedrooms at either end.” To be delivered in a matter of months it will offer not just a warm and dry space but a complete care package including on-site carers and a hub building when it opens its doors this spring, all geared toward enabling residents to return to a mainstream way of living. While flexibility is the watchword of his designs Avery is keen to avoid suggestions that his clients be given free rein to amend specifications to their own requirements, stating: “I work the other way around, I’m very prescriptive in that my vision as a designer produces a look which certain people would go for and certain people wouldn’t be interested in. 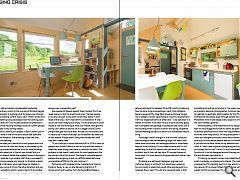 If you look at the Nest house on my website that’s pretty much it, I don’t want anyone coming along and saying ‘can you design this for me?’ I think it’s much more about how the function of it can be designed around the way you want to live and the uses you have for it.